The grand architect of deep house presents his first Mr. 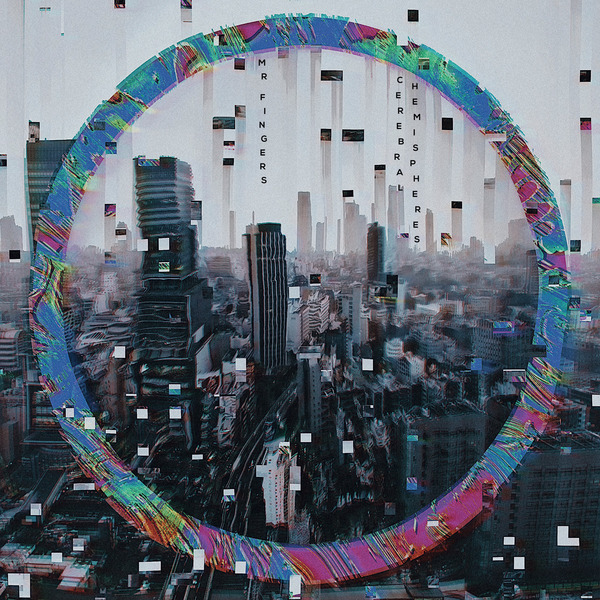 Fingers album in 24 years with Cerebral Hemispheres, an immersive, 18-track, 1hr 40min suite of peerless, jazz-and-soul-infused sophistication. Arriving in an era swamped with dilettante deep house dabblers, Cerebral Hemispheres firmly and coolly reasserts the sound’s source to the hands, minds and machines of Chicago’s Larry Heard, whose output including and since Mystery Of Love  has defined the sound as we all know and love it. With Cerebral Hemispheres Mr. Fingers returns prodigal to remind everyone - and most importantly the youngers, if they’re listening - that deep house is a vibe, not an effing colouring book template. Over the course of his 4th album as Mr. Fingers, his first in any guise since the mid ‘00s, the maestro effortless takes in a spectrum of styles under the deep house brolly, spelling out a sound as clearly influenced by Latin jazz fusion as mystic Jamaican music, and even Indian raga or Portuguese fado. It feels silly to even have to type it, but it’s basically not just a swing beat with jazz chords and pads, as too many others would have you believe. In this open-ended and elevated style, Mr. Fingers lives up to his moniker and the album’s title, hustling a chimeric fusion of feelings and left/right brain waves with outstanding results describing a narrative arc from mellow, blue riches in the likes of Cuty Streets and the lush downstrokes of A Day In Portugal, to the heart-rending soul pulse of Crying Over You and the lilting skank of Cerebral Hemispheres at its core, to oscillate between acidic, electrified Afro-Futurism and his patented midnight atmospheres up to the close.